The GAME OF THRONES marathon continues next Monday at the Jean Cocteau Cinema, with a special guest. 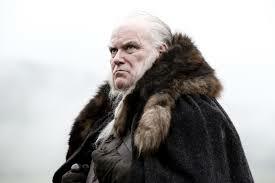 RON DONACHIE, best known to GAME OF THRONES fan as Ser Rodrik Cassel, the master-at-arms at Winterfell, will be joining us from Glasgow via Skype for a Q&A after the screening. We'll be showing two episodes this week: -- "Cripples, Bastards, and Broken Things," and "The Wolf and the Lion," episodes four and five from season one. The show starts at 7:00pm, and we will probably start admitting people into the hall at 6:00. But come early. Last week we had to turn hundreds away, and my loyal staffers tell me that those who joined the line after 5:30 did not get in. (Sorry. We have only 125 seats). It's all first come, first seated; there's no advance ticket purchase, no reservations, no seat saving. But admission is FREE. 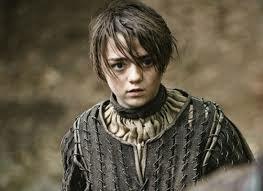 The following week, January 20, we will be joined by MAISIE WILLIAMS, our own Arya. And not via Skype. Maisie is coming to Santa Fe. (If you want to start lining up now for that one, it might not be too soon). See you at the marathon. As for the ending, you need to keep reading.